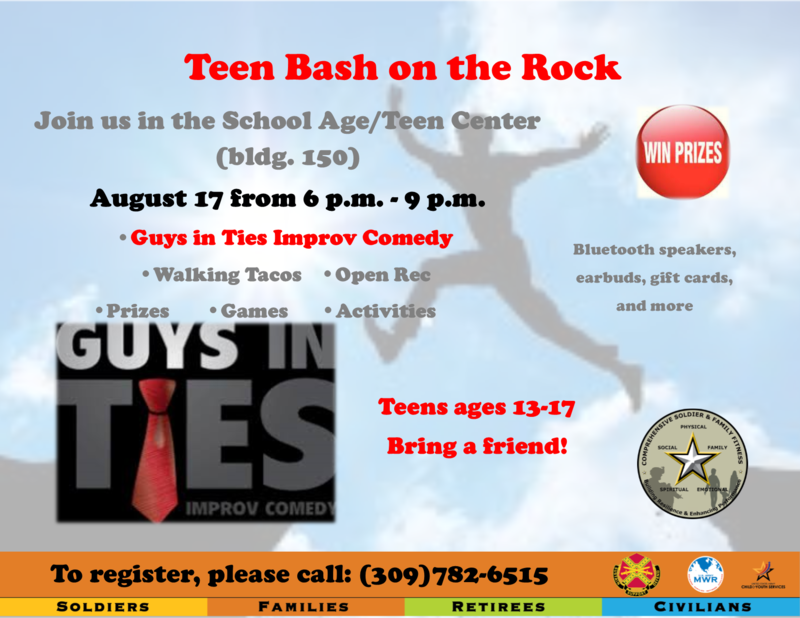 Date: Aug 17 2018, 6 p.m. - 9 p.m.
All RIA teens, ages 13-17 are invited to join CYS for a fun evening at the School Age Center (bldg. 150) on August 17th. There will be walking tacos, open rec., games, activities and prizes! Additionally there will be an improv comedy show performed by the "Guys in Ties" comedy troupe. Call 309-782-6515 to register and feel free to bring a friend, even if they are not associated with RIA.